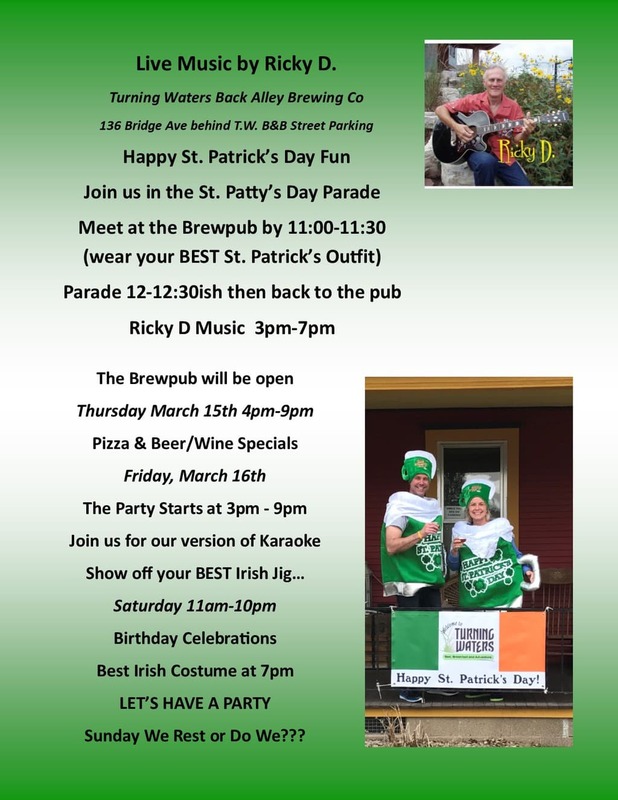 You are in luck, we are hosting a St. Patrick’s Day weekend of fun – Turning Waters Brewing Co.
You don’t need to be Irish to enjoy a great party in Wabasha, MN. Stop in and see for yourself why Turning Waters Bed, Breakfast, Adventure and now Turning Waters Back Alley Brewing Co is the place to #drinklocalstaylocal while visiting Wabasha. See you in the back alley! 2nd Annual Hop & Vine Craftbeer and Wine Tasting for Charity Nov.30-Dec 2nd. 100 Mile Garage Sales in Wabasha Include a Stop for a Beer and more…. Our Tap Room, open to the public, offers a variety of craft and domestic Tap beers. The Tap Room hours do vary.